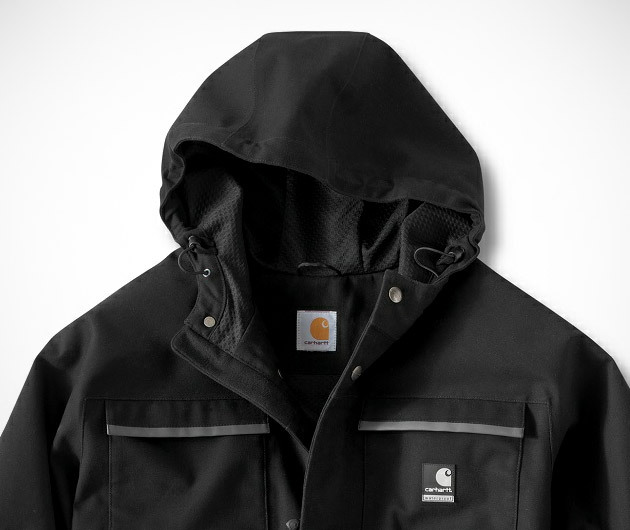 Getting caught in the rain is no longer a problem with the waterproof Ketchikan Jacket by Carhartt. Featuring Dura-Dry waterproofing technology that keeps out water while allowing your skin to breathe, the Ketchikan jacket is the perfect companion when you're doing outdoor activities. Made of cotton canvas lined with soft waffle-knit polyester, this jacket will keep you warm, comfortable and dry whatever the weather.